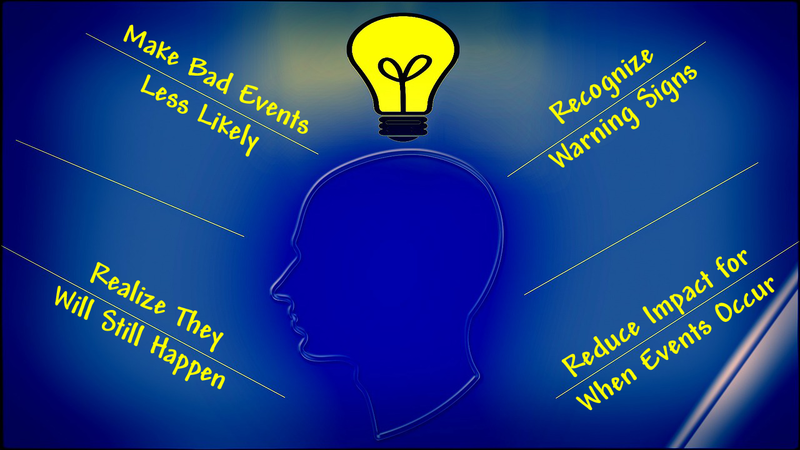 Last week, I talked about taking appropriate measures to make it harder for bad things to occur. Last week I suggested a “solution” to the problem of bad things happening in the cyber world. We want to avoid bad things from happening when we go online or when we use our computers (or phones, tablets, etc.). Again last week, a gunman opened fire upon a crowd of people, this time in an airport. You probably heard about it. He had flown in from Alaska. He had checked his luggage, which had a gun in it. Upon retrieving his luggage, he removed the gun and began firing. Several people died, more more wounded. I was a bit surprised that he could have done this because I didn’t realize that it was possible to ship guns in luggage that you could retrieve upon landing. I then wondered if the powers that be would now pass regulations that forbid the transport of weapons in any luggage. But then, even if they were to do that, there are other kinds of weapons such a person could use, and someone could also cause harm without any weapons. Later, I realized that, since the baggage area is outside the security zone, this could happen another way. Anybody could drive up to the drop-off or pick-up area with a weapon, enter the building, and begin shooting. That could take place outside, in the baggage or ticketing areas, or anywhere that is accessible without passing through the security screening centers. To prevent that, one would have to have to have security at every entrance. 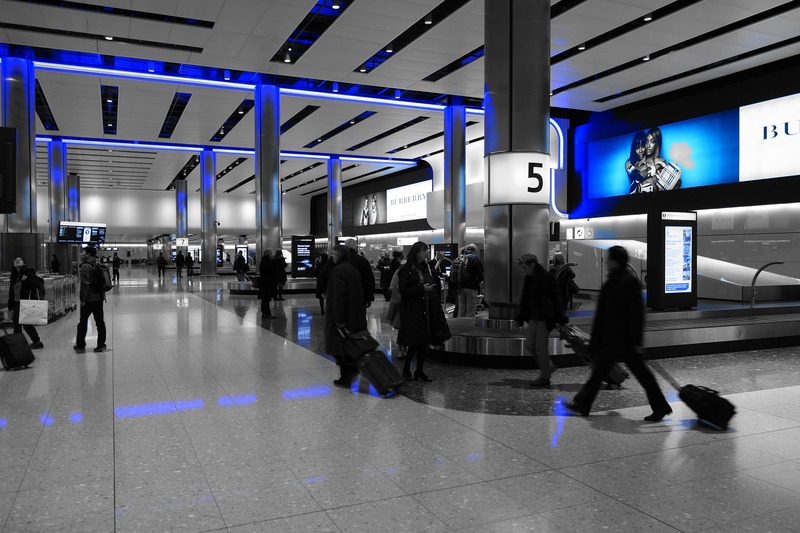 Can you imagine everybody that arrives on airport property going through security scanning? The cost would be tremendous, the delays would be outrageous. The flow of movement would be severely restricted. Who would pay for all that? We would, of course, through taxes and/or higher ticket prices, or access fees to enter airport property. Even that wouldn’t prevent problems. Weapons that don’t show up on security scanners would still get through. Items that are allowed, like ball-point pens would be allowed through. A pen or pencil could be a weapon, although that would be more of a close range attack and would be against one victim at a time, even if it affected many people in succession. And someone trained in combat skills (the perpetrator in this instance was trained in combat skills) could do a lot of damage without a weapon. So, do we begin to treat airports like federal buildings? We screen for weapons at federal courthouses and at the social security office. However, we don’t do that kind of screening at pseudo-government offices like post offices. Should we? Some might say we should. But the cost alone would be enormous, to say nothing of the negative impact upon our access to the services we need (buying stamps, mailing packages…. or flying to our destination). What about when we go to the grocery store or the mall. Should we be required to go through a security screening post when we go to buy milk? Or gas? Or when we walk into a bookstore, or when we buy a gift for a baby shower? Maybe we should put law enforcement on every block and screen people who are out walking their dog? That way, we would be safer! At least the 80 year-old who is trying to maintain their mobility by walking around the block can’t gun us down. Maybe we need to screen all the cars turning onto our street so they can’t execute a drive-by shooting. My point is that we can’t prevent bad things like this from happening, much as we might like to. If we try to enforce safety to the maximum extent possible, we would end up in a world that few of us would want. Novels have been written about that: 1984; Brave New World; and more recently, the Divergent trilogy. Even in those novels, there were people that didn’t conform and actions were necessary to prevent their “unlawful activity.” Even if we did have such a world, there would still be incidents! But the consequences of trying to achieve that “safety” would destroy our freedom. One thing I know is that we can’t regulate the world into a place where these kinds of incidents CANNOT happen. I’m not saying we shouldn’t do anything. But we do seem to like making rules without considering the less obvious consequences, and we often don’t like the consequences. Even then, when we do make rules, incidents still happen. They will as long as people get angry and act on that anger, as long as people are greedy, and even when people just feel threatened. We can work on learning to behave better, but even if EVERYBODY went through training programs to improve their behavior, we would still have problems. Let’s apply this to online security. I hope I’ve made my point that we can’t prevent bad incidents from occurring in the real world. We can’t prevent bad incidents in the cyber world either. When we hear about a virus or some other malware that is attacking computers, we think we need some reliable way to stop it. When we hear about a hacker, we think we need to catch them and lock them up. When we hear about a breach of personal information, we want that company held accountable. Here’s my message: We can’t stop these things from happening. To do so, the world we would create would be one we wouldn’t accept. We can’t prevent the things we don’t want unless we make it impossible to do the things we do want. * The worst offenders will ignore the regulations. * Regulation can’t stop attacks and breaches. It can only provide an incentive to people to do something about them. Most people would love to stop forgetting things and making mistakes. It’s just not possible. Solving security problems is much like trying to prevent mistakes or natural disasters. We may have limited options in an active shooter situation. We have better chances of preparation for a cyber scenario. Doing these things won’t prevent bad things from happening. What it can do is reduce the frequency of occurrences, and reduce the severity of the impact when they do occur. When I was a kid, there was a short period of time that I thought I wanted to be a mailman when I grew up. I followed the mailman throughout the neighborhood as he delivered mail. At one point, I thought I was going to help the homeowners and let them know the mail had arrived. So I rang the doorbell when the postman left the mail in the box. I was quickly instructed not to do that anymore! I don’t remember exactly how long that phase lasted. Probably not very long. In later years, I had a “job” delivering the weekly advertising supplement to a neighborhood in the community. That was hard work. They would deliver a large bundle of the advertising pamphlet, called Penny Power, to my doorstep. They also had stacks of supplemental ads and plastic bags. First, I had to put one of each of the many advertising fliers together with each Penny Power. Then, I had to fold each Penny Power and the associated flyers and place them in a plastic bag. That would take more than a couple hours. Then, I had to go to my territory and walk up to each porch and delivery a bag of advertising goodies onto each porch. Then proceed to the next house. And the next. And the next. Until I had delivered several hundred Penny Powers with the additional advertising flyers stuffed into their respective plastic bags. That was a heavy bundle to carry, a lot of walking, a lot of time, for a little income. Let me emphasize the word “little.” There was a lot of turnover in that job. I found out why! I don’t see too many mail carriers delivering mail to the front doors of houses on their routes these days. Perhaps it is just the communities I have lived in recently. What I typically see instead is a mailbox on the street. The mail carrier deliveries the mail from their vehicle. In some cases, all the mailboxes for a community (or apartment complex) are located in one central location and the residents have to go to that location to get their mail. But I do remember the days of walking with the postman to each door. Some of the houses had a very handy arrangement for the homeowner. A mailslot in their door! They didn’t have to go outside to get their mail. The mail carrier just slipped it through the slot and it fell inside the house, just inside the door! What a marvelous invention! But then, there are the neighborhood mischief makers. Typically, they would run up to the house, ring the doorbell, and run away. On Halloween, they might “egg” a house. What if one of them had gotten the idea of putting rotten eggs through the mailslots? Not a pleasant thought. Eww! How would you stop that? You could lock the screen door so they can’t put the eggs through the slot anymore. But then the postal carrier couldn’t deliver your mail. If you want your mail, you need to allow the possibility that the kids can push rotten eggs into your house. Or, you could put up a mailbox outside your door and lock your door. Now the kids can’t use your mailslot anymore. Neither can the postal carrier. Hopefully, it won’t be so much fun for the kids to put rotten eggs in your mailbox and they will stop. But now, the marvelous invention of the mailslot is no longer of any use to you. It has become a liability. You also had the extra expense and effort of putting up a mailbox outside your house. And you now have to open the door to get your mail. Not a lot of extra effort. But, on a freezing cold day, it’s not as nice as having it dropped inside your door. And you may need to fix your hair or put on an extra layer of clothing before getting the mail. You don’t want to get caught looking too “unkempt” by a neighbor walking by as you step briefly out the front door. Wait a minute! I thought this was supposed to be about keeping safe online! Our computer has a lot of “mailslots” in it. What I am referring to as “mailslots” are useful bits of computer programming that do cool things that we like. They make it easy for us to do what we want to do. Some may automatically show us a preview of files when we hold the mouse over them, such as showing us a picture preview. Some automatically check our e-mail every 10 minutes. 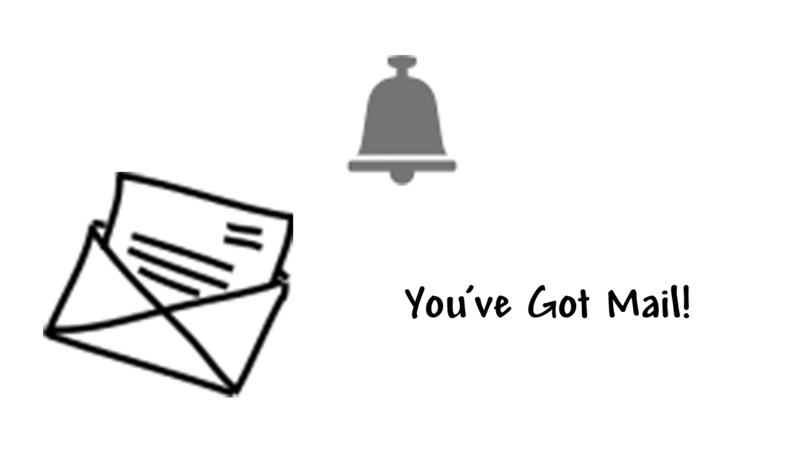 Others ring a bell, play a few notes, or say “You’ve got mail!” when a new e-mail arrives. Some automatically save our progress when we are typing a letter, just in case we forget to save it. * Tell the computer to go out and “download” the picture. * Then, once you opened the picture-viewing program, you would need to find the picture you downloaded and open it. * Next, if you didn’t want to keep it, you would need to open another program that lets you work with files. * Fnally, you would need to find that picture you downloaded and delete it. A lot of work! And you’d have to repeat that process for EACH and EVERY picture you wanted to see. Many of those pictures wouldn’t be of any interest to you, certainly not worth all that work. But, we don’t have to do all that work. Instead, our web browser (Internet Explorer, Safari, Chrome, Firefox, etc.) automatically displays these pictures for us. This is really useful. It enhances our experience. We can enjoy surfing the web instead of getting hung up on the mechanics of how the computer is really doing all that extra work for us. Technology is great! Until it isn’t. Until someone sticks rotten eggs through our mailslots. If we were to make our computers so the mischief-makers CAN’T do this undesirable stuff, we would end up with a computer that doesn’t do what we want it to. But, with computers, instead of just having to open the door to get our mail, we would have to go through ALL the above steps (and some that I haven’t even mentioned) just to see whether a picture on that web page is even one we might want to see. And, to view that web page in the first place, there could be a whole lot of additional steps involved. Most people would revolt. 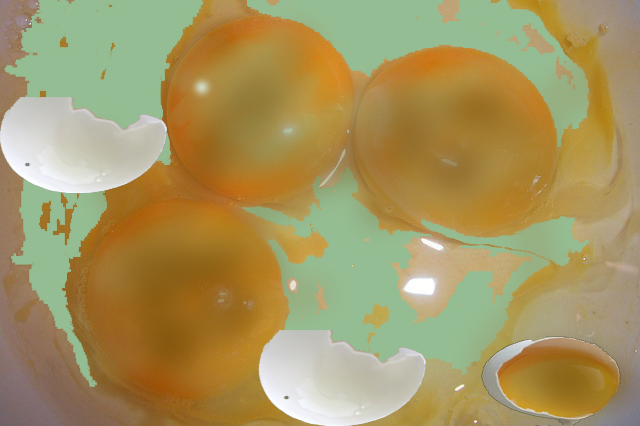 So, what are these “rotten eggs”? They could be any way that an attacker can utilize some desirable feature built into our computers and use them to do something we don’t want them to do. As an example, let’s continue with the picture-viewing discussion above. In 2004, it was discovered that there was a problem with the way Windows processed pictures so that you could view them. If someone sent you a bad picture (that is, one that someone with bad intentions had created) it could crash your program or even, in some circumstances, compromise your computer. That particular issue was fixed, but only if you updated your computer with the proper security updates. However, that isn’t the only time that Windows has had problems with displaying pictures. As recently as May 2016, Microsoft released a security bulletin revealing that there were FIVE different vulnerabilities related to displaying images that had been recently discovered. In some cases, sensitive information could be released to the attacker. In other cases, the attacker could compromise your computer. And for this to happen, all you would need to do is visit a web page that had a “bad” picture on it. That could even be a seemingly innocuous picture on a web page that is usually considered to be on a “safe” or “trusted” site. When this happens, Microsoft (and many other vendors) usually try to fix the problems as soon as possible (though some companies don’t). In some cases, it may take awhile to fix the problem. Once they do, the “fix” needs to be applied to your computer. For Microsoft, if you have “automatic updates” turned on, this SHOULD happen automatically (although, from experience, I can tell you that these updates sometimes fail). For other companies, you may have to apply the updates yourself. And, there are problems out there that haven’t been discovered yet. What if the bad guys find them and take advantage of them before the good guys find them and fix them. It happens all the time. What this means is, if we want to be able to see pictures on our computers, including when we visit a web page, we will be subject to the risk that our computer can be compromised. It doesn’t stop at picures. In 2016, Microsoft issued 155 security bulletins. Some of these advised of multiple issues. Many of them were critical. Other companies may have fewer issues. Some of that is because they are “smaller” and less “complex.” Some of that is because they are not as popular. But some of that is because they are not responding to issues and fixing them, or telling us about them. So, where does that leave us? Do we choose to lock the door so the mischief-makers can’t put rotten eggs in our mailslots? When it comes to computers, that would mean turning our computer off and leaving it off. There isn’t a way to escape these risks if we use our computers. First, we can keep informed of what the risks are and how to take appropriate measures to REDUCE those risks (we can’t eliminate them completely). My blog is a start towards taking those two steps. This year, I will be providing additional options to go further with those steps. Stay tuned. In the meantime, if you recognize that there is always risk, first be thankful that we have as few problems as we do. Then, use your computer with the knowledge that 100% safety is not an option and that it is up to you to do the best you can to escape as many of the potential problems as possible. Again, that comes down to learning what you can do (and then acting on that knowledge). So, you got a new phone or tablet for Christmas. Now, you want to install some apps. If you have an iPhone, and are going to the Apple store, you are probably in good shape. But sometimes, people want to install other apps. Or they just feel their phone or tablet doesn’t let them do what they want to do. Maybe the app they want isn’t “authorized” or won’t install. Or maybe they want to “customize” their device, but it won’t let them. At that point, some people turn to “jailbreaking” (or “rooting”) their phone or tablet. That is a way to disable the restrictions that keep them from installing certain apps or customizing their device. Before you do that, there are some things you should know. 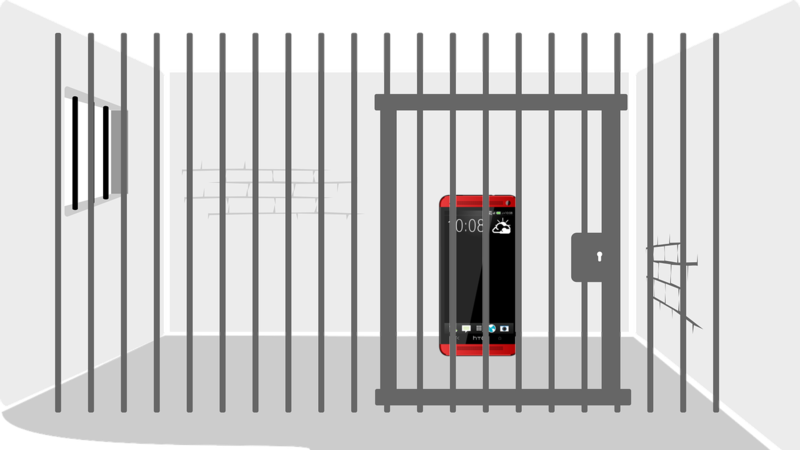 Having the phone in a “jailed” state means it is locked down for protection. It’s not so much a matter of restricting the phone as it is of protecting it. Think of “protective custody” with a lot of freedom within the bounds of that protection. The reason the phone or tablet is “locked down” is to protect it from being affected by malicious or poorly-designed applications or activity. Another reason this is done is to prevent consumers from violating copyright laws through playing of movies or other media without proper licensing. If one removes those restrictions, they open themselves up to a number of undesirable possibilities. That doesn’t mean they WILL be affected, but it does mean they are no longer as well protected against the possibility. * Security is weakened. Malicious software could affect the phone or could steal or use your information in some other way. Malicious software may be something that gets installed without your knowledge. Or it could be an app you intentionally install that has a hidden agenda (e.g., a new game or other new app you want but that also steals your data or does other things behind your back). You would be upset about it, if you knew what it was doing. * An app that you install may not be well-designed and may cause your device to become unstable and/or not work properly. * Updates for security and/or improved operation or functionality may no longer be available. That would mean that you will no longer get those updates unless you install them yourself. Normally, these updates would protect you against new and dangerous threats as they become known. They may also fix performance issues and bugs as they are discovered. * Your warranty may be voided. * In some cases, the phone’s performance may be impacted, including draining your batteries. * Some apps that you might install may use your data plan and use up your monthly allotment. Apple’s app store is far less likely to contain an app that will cause your phone problems or that will be malicious. Although they may approve something they shouldn’t, your chances of getting a bad or malicious app increase considerably if you jailbreak your device and go elsewhere to get apps. Should you jailbreak your phone or tablet? I’m not going to say you shouldn’t. There may be a reason that you may choose to. Just be aware that, if you choose to do so, you are making it more vulnerable. If you do so, you should be more careful about how you use that device in the future. It would be prudent not to use it for sensitive information or transactions. It would be wise to think of it from that point forward as an “insecure” device. Thanksgiving morning. Early. I check my e-mail and see a message from my sister. 3:24 a.m….. She was up early. Or maybe was still up from Wednesday night. She said “hi phil” and then included a link, closing with her name in the format doejane (although it had her real name instead of doejane). I looked at the link and it appeared to go to some blog. Why is she just sending me a link? I am always suspicious when I receive an e-mail with just a link, especially if the link looks to me like it is a blog. And yet, it appears to be from my sister on Thanksgiving day. Could it really be legitimate? It was sent to my e-mail address that I only give to my family and a couple of other restricted places. So, if it isn’t my sister, how did they know I have this particular e-mail address. If this were to happen to you, what would you do? As for me, I wouldn’t follow the link. If it isn’t a safe link, clicking on it is a good way to get your computer compromised . Even if the e-mail is really from someone you know. I looked a little further. But my sister lives in the northeast part of the nation. 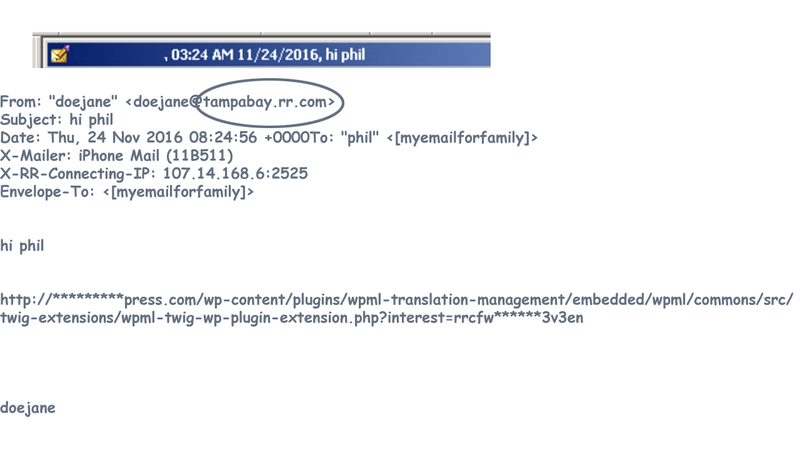 The person sending the e-mail connects from a Tampa area account (or pretends to). 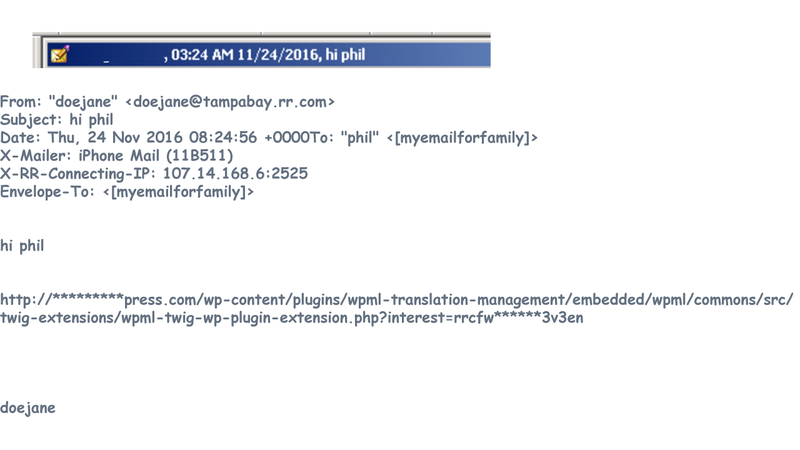 The person’s e-mail sounds like a personal e-mail but only includes “hi phil” plus a link, and then their name (run together with no space, last name first). This is pretty suspicious. It has to be an attempt to fool me. If I were to click on that link, I would likely have a compromised computer. But the perpetrator did several things amazingly well. 1) They used my sister’s actual name. It is a bit unusual that it is lower case and signed “last name first,” run together with no space. But some of my friends sign their names all lower case. 2) They sent it to me using my e-mail address that is given out to very few people. I give out my other e-mail addresses to lots of people, but not this one. 3) They sent it on Thanksgiving Day, a time that loved ones are more likely to be in contact with us. Would you have clicked on the link? So, how should you handle this? The bad guys are smart (at least some of them). You don’t want to ignore e-mail from loved ones. Let’s examine this situation. There are clues that there might be a problem. The biggest clue is the address specifies it came from the wrong part of the country. But if the address had been from @gmail.com, we wouldn’t have that clue. And, even for me, I didn’t discover the problem with the address until I started looking, which was after I was already suspicous. The biggest giveaway for me was that the e-mail contained only a link between the greeting and signature. This is always suspicious to me. Of course, some of my friends regularly send e-mails like that. Maybe some of your friends do as well. With those friends, at least that is their pattern for sending e-mails. But, I often don’t click on their links either. * As a rule, I don’t click on links just because someone sends them. I evaluate the likelihood that it is safe and also whether I think it might actually be of interest. * If I thought this really did come from my sister, I still wouldn’t click on the link because it looks too much like the style used by attackers. I would contact her first and make sure it really came from her (even if the e-mail address was her true e-mail address) and try to get some more information about it. Be careful when you go through your e-mail. Even if it comes from someone you know or is about something you are interested in. The bad guys will use holidays, events, or anything else to trick us into opening their e-mails. What else are they likely to do at this time of year? You may have seen e-mails about failed delivery attempts from DHL or UPS. 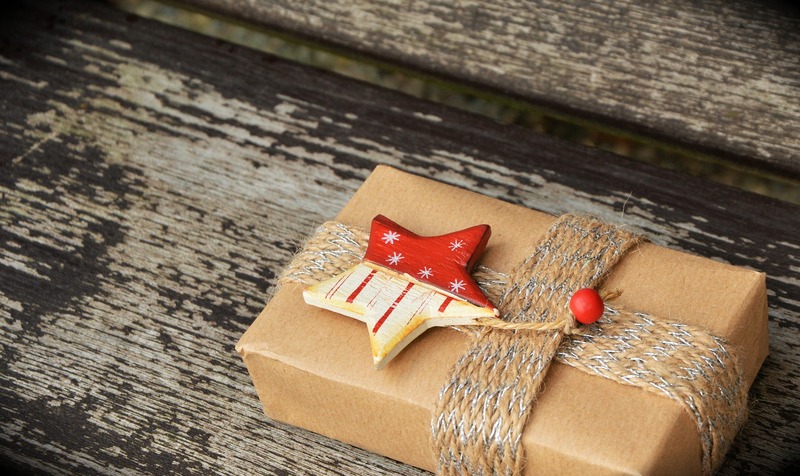 Do you have any packages coming at this time of year? I do. In fact, UPS failed to deliver the package I had ordered. The tracking information said it was on the truck for delivery this past Monday, but it didn’t arrive. The next day, it was scheduled again to be delivered. A little after 3:00, I looked online and the tracking info said they had delivered it. Nobody had rung the doorbell but I looked around outside. The package wasn’t here. I had to call the shipper, and they are filling the order again. But, what if I had gotten an e-mail from UPS? It would be tempting to open it since they had failed their delivery a couple times already. If a bad guy had sent me one of these e-mails in the last couple days, the scenario was ripe for me to open it to find out what was happening with my delivery. Knowing that this is how the bad guys operate, I still wouldn’t have opened the e-mail. I would have gone to the shipping company’s site using the tracking number I already had (which is what I did). Then, I would have called them using the number I already had (which I also did). They said there was nothing they could do since it was marked as delivered. They didn’t send me an e-mail about this. But what if they had? Do you think I would have opened it, because of being upset about their failures and hoping for some kind of satisfaction? Suppose a bad guy had sent a malicious “failed delivery” e-mail this week. I’ve certainly received a bunch of those in the past. But this time I already knew there were delivery problems. And I wanted it fixed! What would YOU have done? Would you have clicked to find out what was going on with the failed delivery? Many of us are overloaded with information. Some of that comes through e-mail, especially if you get lots of e-mail. If we are feeling like there’s too much information coming our way, it is easy to pay less attention to individual e-mails. 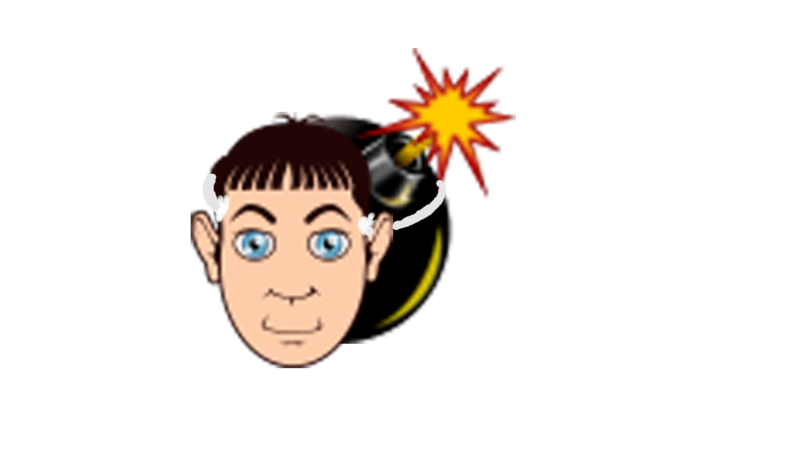 That could put us at risk for falling prey to at attacker’s tricks, because we fail to think before opening the e-mail or clicking on a link. I get a couple hundred e-mails daily. Most of them are never opened. I scan through the sender names and subjects fairly quickly. Some are deleted. I place the majority into an “archive” folder without opening them. They are there if I ever need to refer back to or search for something. Only a few get opened. One of those was the e-mail from my sister. Or rather, the one that looked like it was from my sister. It is important to keep paying attention. As we open the e-mails that we think are of interest or from someone we want to hear from, we need to be aware of the possibility that it could be a trick. It could be someone pretending to be our family or friend. Or it could be an e-mail about something that is very relevant to our life on that particular day, such as a package that we are trying to get delivered. Holidays are a time that some of the bad guys step up their attacks. It is also a time that we may be more susceptible. Think before you open or click. The second thing is to become aware of the tricks the bad guys play so you don’t fall victim to them. So, now you understand what ransomware is, and how to be prepared so you don’t have to pay the ransom if you get attacked by it. But, prevention is better than fixing the problem after it has occurred. Unfortunately, as with many things in security, there is no guaranteed way to protect yourself (apart from never turning on your computer or mobile device; and that’s not a helpful solution). On the other hand, there are some things you can do to make it less likely that you will be affected. * Phone calls, e.g., a call from someone saying they are from an accounting or billing department and they are sending an invoice and to open it when it arrives or some other phone call that advises you to take some action. If you open the attachment when you receive it, you get infected. * Visiting sites that can infect us just by visiting them, with no need to take any action (discussed in the daily tips). This is the most insidious method, as we can become infected despite taking precautions. Use of an ad-blocker and turning off automated functionality may protect you in some cases from some of these, but even then, there is no guarantee you can’t be infected. And turning off functionality may affect other web sites you rely on and render them inoperative. So, what can you do to reduce your chance of becoming a victim? I provided daily tips during National Cyber Security Awareness Month. 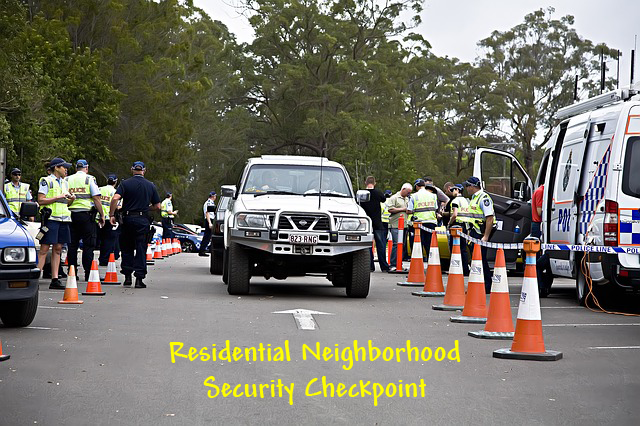 Many of those tips included measures that, if taken, can help to protect you. It might be a good idea to go back and take another look at those. (You might also wish to purchase the long versions when they become available soon.) But, they will only help you if you apply them. * Be cautious of e-mail attachments. Don’t open any that are suspicious. Think before opening ANY attachment and consider whether it might be one that could be dangerous. * Be cautious about links in e-mail. Links are a useful way to refer someone to good information. But they are also used by bad guys to send you to a page that will infect your computer. Before you click on ANY link, consider whether it might be one that could be dangerous. * Don’t respond to pop-ups, web pages, e-mails, or phone calls that try to scare you to take action or some bad result will occur. Although there may be instances where a response would be advised (an alert from the community warning you about evacuation for a coming hurricane, if you have previously signed up to receive such notifications), any unsolicited scare announcements should be regarded as suspicious. * Set your e-mail settings to protect you, as discussed in one of the daily tips. * Use security software but don’t rely on it to keep you safe. It can block a lot of threats but none of it will detect all the threats, including ransomware threats. If security software is your only protection, you are at high risk. * If you see a pop-up or web page that says your computer is infected or you’ve engaged in some illegal activity, don’t click the link or take the action it tells you to. If you were to do that, you may infect your computer. * Keep your software updated (discussed in daily tips). * Keep reading this blog and enroll in my courses when they become available. The basic course will be quite reasonably priced and will give you a lot of detailed information that will significantly help you to keep safe. Alternately, find some other source of reliable information whereby you can keep informed to protect yourself and return to it regularly. Again, awareness of the threats and of the ways the criminals “get” you, and of measures you can take to protect yourself, is perhaps the most important key to remaining safe. Of course, you need to do more than just become informed, you need to put what you learn into practice. Last week I talked about the problem of ransomware and how you can forever lose access to your data, unless you pay the ransom to the criminal who is extorting you. What if you didn’t have to pay and you don’t lose access to your files? How would you like to thwart the criminal’s attempts to take advantage of you? It is possible. But it takes preparation and periodic “maintenance.” And it has to be done properly. That is the catch. Most people fail at one of those. If you have all your data available in another place, the threat of losing that data because of ransomware is no longer much of a threat. Of course, there is the inconvenience of getting your computer into a stable condition and also of replacing all that data. But, if you can do that, the criminal no longer has much leverage, as long as you are willing to take the steps to restore everything to the way it should be. With this solution, you win in two ways. You can avoid having to pay the ransom. You also know that your computer is in a healthy state (if your backup was done before it became infected). On the other hand, if you pay the ransom, and the criminal does restore your data to a usable state, there is still a problem. Do you trust the criminal who just took advantage of you to play honestly and fairly with you? Or did they perhaps leave some malicious software on your computer? Are they monitoring your activity? Will they repeat their crime again? There is a very good chance that your computer is no longer in a “safe” condition once it has been compromised, even though the criminal “fixed it” for you. Let’s put it another way? If someone stole money from you, would you hire them to be your bookkeeper or your accountant? 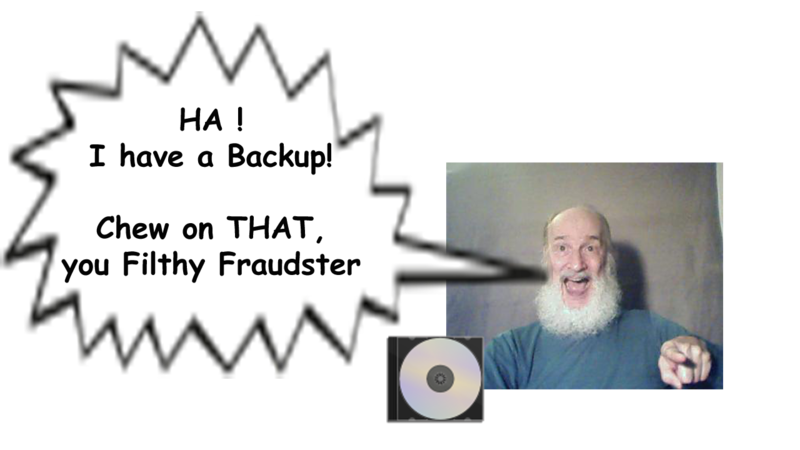 So, you are better off having a backup and restoring your computer and data than if you rely on the criminal to fix things after you pay a ransom. There are, however, some problems with this approach. * Most people don’t back up their computers, even if they know it is a good idea to do so. * People who back up their computers and data often don’t do a good job and are unable to use their backups if they need them. * The best way to restore after a compromise is to restore everything. Most people aren’t prepared to do this. However, if you do have good backups and have all your important data backed up, you have everything you need and don’t have to worry about losing your data. You can refuse to pay the ransom and not worry. Now, I’m sure many of you will see this as a major problem. You aren’t sure how to back up your computer or data. You have questions about what to back up and how to do it. And there are a lot more questions and concerns you may have. There is a second concern related to ransomware that is not nearly as common but does apply in some instances. As mentioned last week, in certain cases, the criminal will threaten to release your sensitive data to the public if you don’t pay. Secondly, use encryption for any sensitive data. Best practices recommend encrypting anything you don’t want someone else to gain access to. If you become a victim of ransomware and you can recover your computer and your data from backups, you don’t have to worry about losing access to your data. Although it may be an inconvenience, you can refuse to pay and still access your data. If you are using a good encryption solution for sensitive data and not making mistakes in proper use of it, you are in good position to ignore any attempts to blackmail you with threats for release of that data. * You can learn how to take those measures and apply them yourself. * If you are in need of a solution for a particular situation, you can engage me as a consultant to work with you to discuss and/or address your particular circumstances. If you are hit by ransomware, there is a way to refuse to pay these criminals and still not lose data. But, you must take proper precautions BEFORE anything happens. 1 – What is Ransomware? Ransomware has been around for quite some time, but it has been increasing in prevalence, especially over the last couple years. I have seen a great deal of talk about ransomware in security circles this year. I have also seen instances of companies making promises of protection from ransomware that they can’t possibly keep. In looking for statistics, I have found a wide range of figures for losses and/or ransom amounts paid, depending upon the source of information. However, multiple sources suggest that the payments were in the range of hundreds of millions of dollars last year with a significant increase for 2016. So, what is ransomware? The correct answer to the quiz above is “b.” RansomWare is software that holds your information hostage until you make payment to the perpetrator. The perpetrator says they will make it possible to restore your access to your files if you make the requested payment. There is usually a deadline. If you miss the deadline, you are out of luck and will no longer be able to recover them. However, if you answered “a,” you may be choosing a secondary tactic used by some ransomware criminals. Although the “threat” is usually that you will forever lose access to your files, there have been cases in which they have added a second threat that they will release your information to the public, probably posting on a web site. If the loss of the files isn’t incentive enough, perhaps public embarassment or the exposure of your sensitive data might be enough to convince you to pay. So, while “a” is not the correct definition of ransomware, it may be part of the “threat” in certain instances. Ransomware typically acts in one of two different ways. The first method is to prohibit access to your files and your computer. Your screen may be locked or blocked so that your normal ability to use your computer is prohibited. If you pay the ransom, they promise that they will unlock your system. The second method is more serious. Your files are encrypted and you can no longer access them. Or, more accurately, the contents of those files are no longer available. As an example, if your file used to say: “Once upon a time….” it now may say something like: “.8Y%r&b4g.cX7|KWm]+/#+}RL0PQ>I.” The file is now worthless, until it has been unencrypted (decrypted). With earlier versions of some types of ransomware, it was sometimes possible to decrypt the files without paying because of the criminal’s poor implementation of the “cryptographic algorithm.” In other words, the developer of the software that encrypted the files didn’t do a good job of implementing the technology to encrypt them. That meant their encryption could be broken. However, ransomware has improved in sophistication and the developers have been fixing the problems with their software. Their software is becoming “better.” That means that it is not going to be possible to break the encryption that is now being used and the files cannot be recovered without the help of the criminal. So, how do you get your files back? The attacker promises to provide the mechanism to decrypt (unencrypt) those files, but only if you pay them. And, there is a deadline. The ability to decrypt your files and make them usable again depends upon a “key.” They have the key and can use it to decrypt your files so you can access them again. However, when the deadline arrives, they will delete that key. If that key is deleted, you will never get access to your files again. Not even the attacker would be able to help you once the key has been deleted. Typically, there is a countdown timer counting down to the deadline. There are also instructions on how to make payment. The method for making payment is typically by using “Bitcoins.” That is the new “currency” of the underworld, although it is also being used by legitimate people as well. Payment with bitcoins makes it harder to trace. Use of bitcoins makes it harder for most people to make payment. How do you pay with bitcoins? Where do you get them? To solve that problem, the attacker (extortionist) will typically provide instructions. However, some will provide an alternative for those that have trouble understanding how to make the payment. In some cases, the attacker will agree to unlock your files and restore access to them if you allow them to use your computer in their efforts to infect others to collect payment from other people. The most publicized victims are corporations. Businesses of all sizes and types have been victimized. However, individual home computer users are also victimized. The amount of the ransom demanded usually varies, depending upon the ability of the victim to pay and, sometimes, on the value of the data or the importance of the system attacked. However, the attacker’s goal is to get paid, so the amount they ask is typically an amount that they expect the victim will likely be able to pay, even if it is expensive for them. You may think that paying is the best choice, if it is an amount that you are capable of paying. There are several problems with this approach. 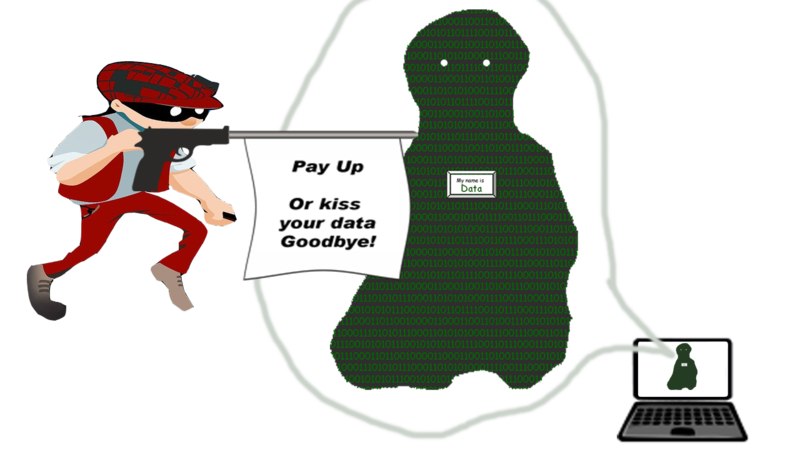 As mentioned above, you will be funding the extortionist’s future endeavors and also encouraging them to continue their exploits. 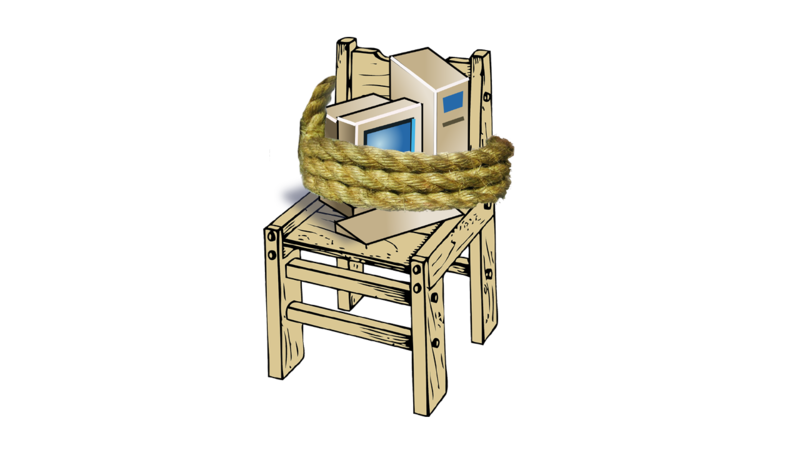 However, there are also numerous instances where the victim has paid the ransom and has not gotten their files back. Furthermore, in a number of cases, the attacker repeats the attack. They have gained access to your system and can hold it ransom again whenever they want to. They may also have planted other malicious software on it and may have extracted your data already as well. If you pay once, it seems likely that you will pay again if they repeat their attack again in a couple months. For a number of reasons, paying is not recommended. The best options are prevention and having an alternative response in place. There are things you can do to greatly reduce your chances of becoming a victim. There are also things that you can do to minimize the impact if you do get victimized. You should do both. Reducing your chance of becoming a victim is an important first step, but it doesn’t guarantee you’ll escape. But, if you have also taking steps to minimize the negative impact, you can turn a catastrophe into a mere inconvenience. Check back next week to hear more about that. Today, I want to review another theme that we saw in several of the tips from last month. That is the idea that a good security solution can be “broken” if it is implemented poorly. Let me give an example that will illustrate the idea of implementation. A traffic light can be an effective method of controlling traffic and avoiding accidents at the intersection of two busy streets. However, implementation is important. An example of poor implementation would be if the light were green at the same time in all four directions. Fortunately, traffic lights are implemented to stop traffic on one road before traffic is permitted to flow on the other. Another example of poor implementation would be if one of the signal lights were positioned behind a sign or a tree branch, so that the oncoming driver has no way of seeing the signal until he is far too close to be able to stop. A city official might conceivably argue that people should slow down so that they can stop in time if the signal happens to be red. But, knowing that a lot of people won’t, that argument would be flawed. Those responsible for traffic lights need to make sure the signals are visible from a sufficient distance to allow drivers to respond safely. A good solution needs good implementation or it becomes a poor solution. * The “chip” credit cards. The use of the chip could result in a lot better protection than it does in the U.S. By allowing the customer to still swipe the card or, with many of the cards, allowing the use of a signature instead of depending upon the chip, security is weakened. Although we discussed that the European version still allows for fraud to occur, the American version is far weaker. * The banks’ handling of security questions to verify identity, using information that is not that difficult to obtain. 1) When the solution is being developed. The manufacturer of the equipment, the programmer of the software, and/or the creator of the solution may try to incorporate a good security idea in a way that weakens it or renders it ineffective. Or they could fail to take into account factors that are important for it to be effective. 2) When the solution is put into place. This could be when someone installs software on their computer or when they set up equipment. An example would be failing to change the password that comes with a new baby monitor, or using a weak password, or not having any password at all. 3) When the solution is being used. An example would be writing the password on a piece of paper and attaching it to the computer screen. Or having an alarm system for your home, but forgetting to turn it on when you leave the house. Certainly that is not a complete list of causes. In addition, failures can occur as the result of the difficulty of trying to address a complex situation or one that changes. That especially applies to security, a situation which is magnified by the common causes listed above. Here are some thoughts on each of the stages where these kinds of problems can occur, and an approach to deal with them. 1) In the development of the solution. The consumer doesn’t have much direct control over how the manufacturer or designer creates the product. However, they can ask questions before buying, they can consider security as an important factor in their choice of which brand and model they purchase, and they can provide feedback to the manufacturer that security is important to them. We have seen “fast food” establishments offer “healthier” choices as a result of public sentiment. If manufacturers and programmers know that the buyer will go somewhere else if the products don’t adequately address security concerns, they may begin to do a better job in the design of the products. In the meantime, by considering security and asking questions before purchasing (or having someone knowledgeable help in the purchase decision), the consumer can end up with a better choice from the selection of products available. 2) In the installation. By becoming aware of what is involved, the consumer can reduce the chances of making mistakes during installation. This may mean reading the directions, doing research, or simply asking questions of someone who knows what is involved. Most people wouldn’t install a new furnace by themselves but would ask an expert. They would, however, install a new toaster (“just plug it in”) all by themselves. With computers, the installation issue can be tricky. Systems can be made relatively easy to install and seem more like installing a toaster. However, some security solutions address complex issues and installation may require “furnace” expertise even though it seems as simple as a toaster installation. Encryption solutions are one example of complex issues requiring precise implementation. Even though the encryption software may be simple to install, the “other factors” are extremely important. Ignoring those other factors results in a “broken” solution. The answer to this does not require becoming an expert. However, it does require an awareness of which solutions require the greater level of expertise. Then, one can seek help when appropriate. 3) Use of the solution. Knowing what things you need to watch out for (the threats and risks) and what things you need to do or avoid doing (practices) will help you avoid the most common mistakes made. There is always the possibility of making a mistake, no matter how much knowledge one acquires. However, awareness of the issues goes a very long ways towards avoiding the most common problems. * First, when someone makes claims about how good the security in their technology or solution is, remember that the way they implement it makes all the difference. They may say their product uses “state-of-the-art encryption” (or use some technical terms describing the type of encryption they use). They may say they use “two-factor authentication.” They may throw around words like “heuristics” or “adaptive technology” or some other impressive sounding terms. * Secondly, what YOU do with a product or other solution, both in setting it up and also in using it, makes a significant difference in whether or not it provides the desired results. The key to this is learning what is necessary to set up and to use it correctly. Whether you learn this by reading the directions and doing some additional research, or asking someone knowledgeable, or possibly “both of the above,” remaining secure requires you to be an active participant so you don’t end up “breaking” an otherwise good solution. d) A framework to make good choices in the complex environment of the many threats and issues and with the myriad of solutions to address them. If you know “All of the above” (a, b, c, and d), you will be in a position to navigate the minefield and come out in one piece. Stick around and you will find all of that available, although it will take some time. When I say “some time,” I really mean a “little bit” of time on an ongoing basis as you learn a little bit now and a little bit more later.